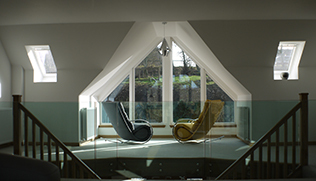 Established in 1991, we specialise in delivering high quality, inspirational, bespoke designs built to your own requirements. A Caledonia Homes house will provide you and your family with an exceptional home, so don’t hesitate to let us turn your dreams into a reality. We are very proud of our unique customer service where our experienced and friendly staff will guide and advise you through every step of the design and build of your new home. 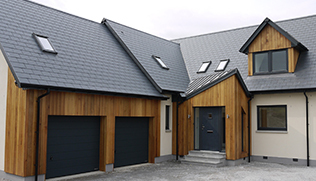 From our location in Ellon we are ideally situated to provide our design and build services to sites as far as Forres, Fraserburgh, Banchory, Laurencekirk and everywhere in between. But we all know if there is one thing that makes a house a home, it is the fixtures, fittings and finishings. At Caledonia Homes we will consult with you to make sure that you get exactly the style and level of finish you want. Stuart founded Caledonia Homes in 1991 and comes from an architectural and house building background with over 30 years experience. 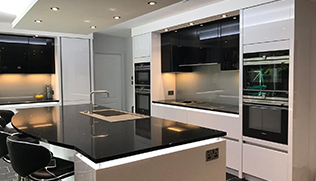 In that time he has been fortunate to assemble the finest and most professional house design and construction team which has made Caledonia Homes the most respected house building company today. Ewan is responsible for the daily running of the company and coordinating the services offered to clients through the design and build options. 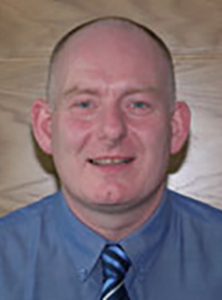 Ewan is from an architectural background and joined Caledonia Homes in 2002 and is now using the 35 years experience gained through his career as a senior architectural technician to assist and advise clients through the full house build process. 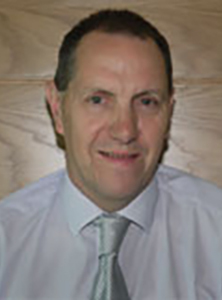 In his role as general manager Peter assists in the daily running of the company and as estimator is responsible for the preparation of client quotations, costing of any extras and preparing client’s final accounts. 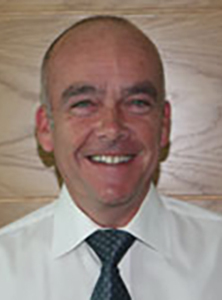 Peter is from a quantity surveying background and has over 30 years experience in the building industry. 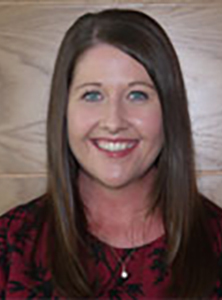 In her role as company secretary Vicki is responsible for dealing with all aspects of the company accounts and general office duties. Vicki has over 20 years experience in the role of company secretary and has been with Caledonia Homes since its creation in 1991. With knowledge of the planning and building warrant regulations, Daniel is responsible for overseeing the preparation of all drawings, obtaining local authority permissions and ensuring your requirements are conveyed to our site team. 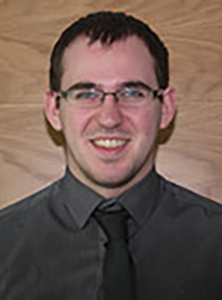 Along with his experience, Daniel has an HNC in architectural technology, is an associate member of the Chartered Institute of Architectural Technologists and is a certified ‘on construction domestic energy assessor’. In his role as construction manager Stuart is responsible for overseeing the foundations and all ground works for your new house. 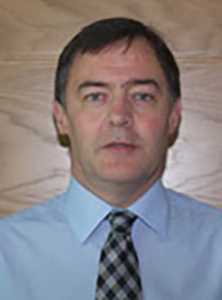 Stuart has over 18 years experience in the building industry and has been with Caledonia Homes since 1998. Stuart also holds a Construction Site Managers Safety Certificate. In his role as factory manager William is responsible for the day to day running of the factory and as procurement manager is responsible for sourcing and ordering the highest quality materials for your dream home. 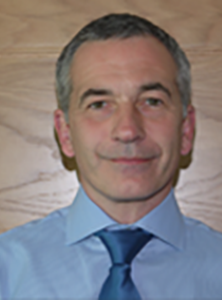 William has over 30 years experience in the construction industry and has been with Caledonia Homes since 2001, being a time served joiner with extensive knowledge of the timber frame manufacturing process along with being a site manager during this period. 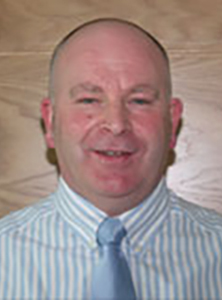 In his role as site manager Graeme is responsible for overseeing the construction of your dream house. Graeme has over 30 years experience in the building industry and is a time served joiner with experience in all aspects of joinery and timber frame. He has been in site management since 2006 and has a level 6 NVQ diploma in Construction Contracting Operations Management and also holds his Construction Site Managers Safety Certificate. Brian is responsible for ensuring the health and safety of our team while they build your house. Brian is also responsible for ensuring that we build in a sustainable and eco-friendly way by ensuring we reuse and recycle as much unused materials as possible. 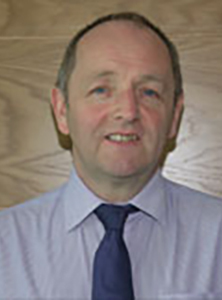 Brian has over 35 years experience in Fire and Health & Safety.